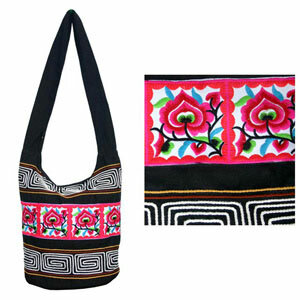 The Lanna bags artisans handcraft this shoulder bag with cotton. They frame four large flowers with labyrinthine motifs stitched by hand. 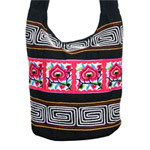 The interior is fully lined with cotton and features two inner pockets. It closes at the top with a zipper.